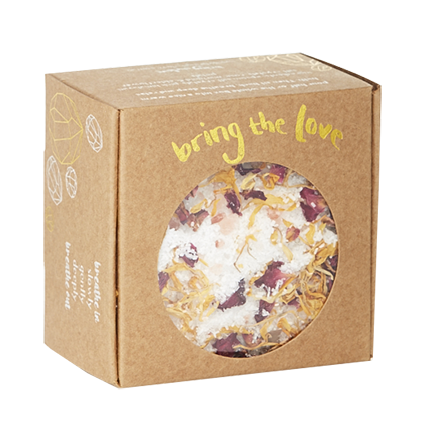 Up level your bath relaxation with these divine smelling Rose and Marigold bath salts. 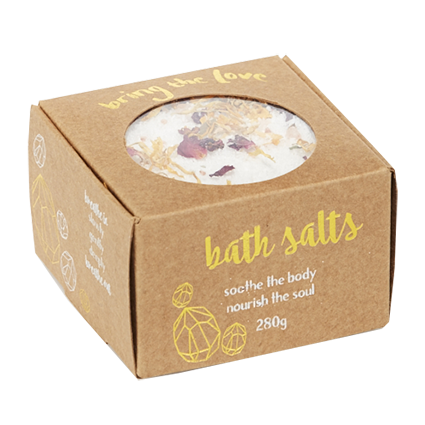 Made from epsom and pink Himalayan salts to ease the tension from your muscles and rose, elderflower and marigold petals to add a beautiful smell and sight to your bath experience. Add either half or the whole box to your bath, then sit back, breathe deep and enjoy. Category: Bath Range. Tags: bath salts, elderflower, marigold, rose.